This milk chocolate bar has 38% Venezuelan chocolate with cocoa butter infused with Tonka beans. This was a bit weird for me as I used to use tonka beans in incense making. The scent of the tonka bean hit me immediately upon opening the chocolate bar with its earthy perfume. 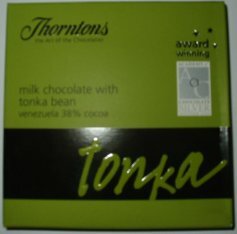 The scent of the tonka has never been my favourite and it made the chocolate a little difficult for me to eat. 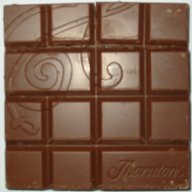 The milk chocolate is similar to the plain bar but with the extra infusion of the tonka bean. The milk chocolate was very sweet and the flavour of the tonka bean is difficult to describe. It is slightly floral with an overtone of vanilla mixed in with almond and a touch of buckwheat honey. It is hard to describe the flavour of this chocolate but not hard to understand why it won silver. Not my favourite bar try it if you have the chance!